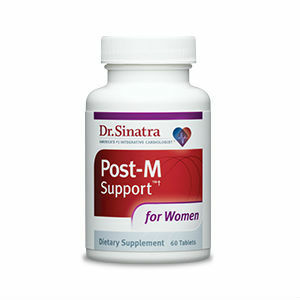 Post M Support Dr. Sinatra is a natural supplement addressed to women going through the challenges presented by menopause. The product promises to regulate hormonal balance, offer help in managing stress and strengthening bones, something that is often an issue for women, as they age. Based on a special compound obtained from phytonutrients, Post M Support Dr. Sinatra sounds like a good product, which is why we decided to review it here. What Does Post M Support Dr. Sinatra Contain? At first glance, this natural supplement for women seems to be a good blend between herbal extracts, vitamins and minerals. As the female body changes through menopause, some hormonal imbalances appear and they are the ones to be addressed most and foremost. While the ingredients used are quite potent, there are more complete formulas on the market that you may wish to take a look at before trying this one. The listing price for one bottle with 60 tablets is 39.99USD. The manufacturer offers a 90 day money back guarantee and full refunds. Post M Support Dr. Sinatra is a good natural supplement for women suffering from symptoms of menopause. It contains powerful ingredients and research was invested in its making, which is a great plus. Made by a reputable company, this product sounds like a good choice. Jackie Horowitz	reviewed Post M Support Dr. Sinatra	on September 27th	 and gave it a rating of 2.